What was the first social network you ever joined? While many people will recall it being Facebook or Twitter, others might remember some of the earlier, less popular social networks. You know, like Friendster, Open Diary, and Orkut? A lot these primitive social networks go forgotten, but that doesn't make their stories any less important. After all, these networks laid the groundwork for the social media giants we use today. In this blog post, we’ll dive into the stories of some of the earliest social networks -- and why they didn’t stick around. 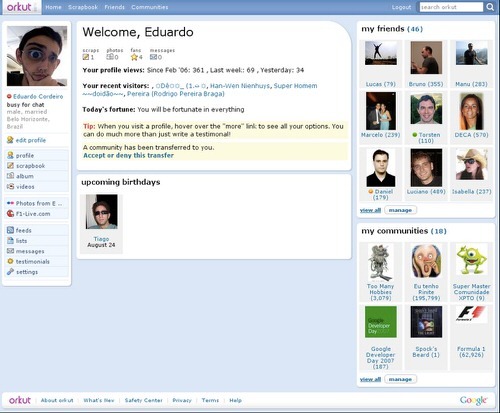 One of the first versions of a modern social network, where users could create profiles and interact with one another, is Classmates.com, which launched in 1995 and allowed users to network and share messages and photos with their childhood and college classmates. In 1997, SixDegrees was founded based on the theory that people are only separated by six levels of friends and family members. This was the first social platform that allowed users to create and curate profiles and laid the groundwork for online networking. Blogging (on “weblogs,” as they were once called) came to the scene in 1998 with the launch of Open Diary, which included a social networking feature wherein users in groups could read each other’s writing. 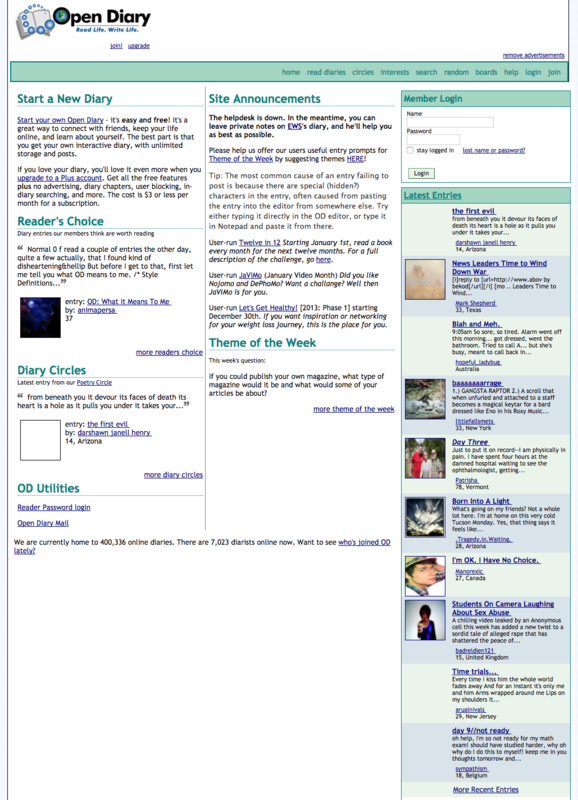 Open Diary laid the groundwork for later blogging social networks, such as Xanga and LiveJournal in 1999. In 2002, Friendster launched with the purpose of helping “Circles of Friends” find one another to communicate. 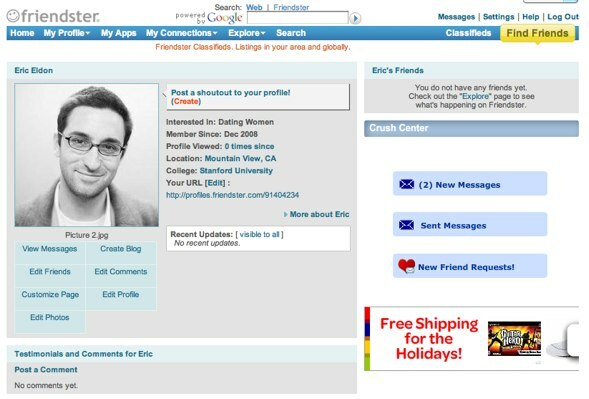 Friendster’s launch paved the way for sites like LinkedIn (2002), Myspace (2003), and Facebook (2004) to launch networks with similar features, such as Myspace’s Top Eight friends, Facebook friend groups, and LinkedIn connections. In the late 2000s and early 2010s came Twitter, Tumblr, Pinterest, and Google+, which experimented with short-form and visual content, as well as aggregating and saving content for later consumption. Some of the latest social networks on the scene include Meerkat, Periscope, Instagram, and Snapchat -- platforms based on sharing authentic, ephemeral, visual content that requires as few words as possible. Of course, this is a very brief history -- and several social networks were launched and forgotten during this timeline. Needless to say, those networks still played a role in the development of the bigger social landscape we know and use today. Let’s discuss some of the networks we’ve forgotten and why they didn’t stick around. Friendster launched in 2002, was rebranded as a social gaming website in 2011, and shuttered completely in 2015. Friendster was the first network that allowed friends to create profiles and share content with their contacts. Friendster was also used to learn about local events, pop culture news, and to connect with brands also sharing information on the platform. At its peak, Friendster had roughly 115 million users around the world. The deeper issues that led to the demise of Friendster were analyzed by computer scientists at the Swiss Federal Institute of Technology, who conducted Friendster’s “autopsy.” They cited a disastrous site redesign in 2009, after which traffic and users plummeted. They also determined that the time and effort it took to navigate the Friendster network outweighed the benefits of using it. According to their research, social networks with many users who only had one or two friends were much more vulnerable to collapse than networks with users who had several friends. Stronger networks made up of lots of people meant that if one person left the network, the rest of their friends wouldn’t necessarily follow suit. But if a user had only two friends in a social network and one deleted their account, they would be more likely to do the same -- it would be a boring experience on the platform otherwise. Friendster wasn’t widely adopted by users’ friends and families, so their time was better spent on other networks where more of their real-world network was online -- namely, on Facebook and Myspace. Eons.com was launched in 2006 and shut down in 2012. 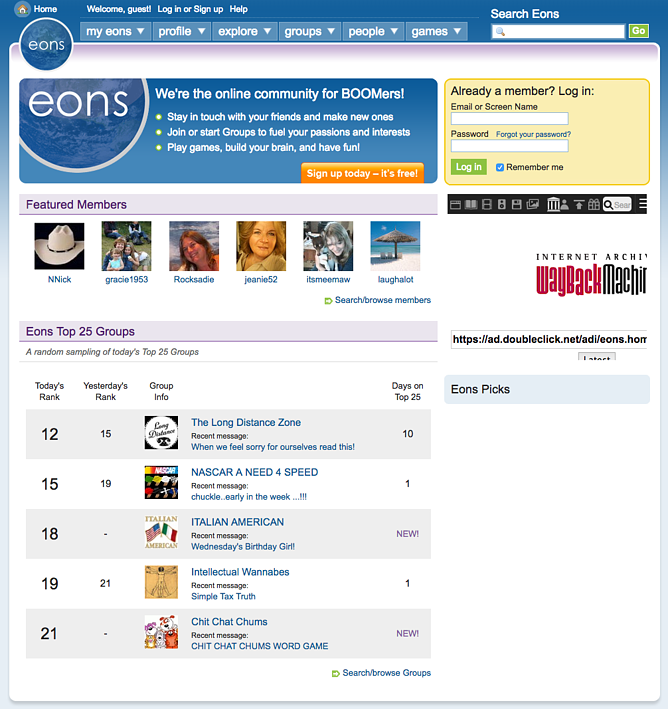 Eons was designed to be a social network for baby boomers. Touted as “Myspace for boomers,” it set age restrictions that prevented anyone under the age of 50 from joining-- however, the age restriction was lowered to 40 in 2008. The site never experienced a huge boom in popularity around its launch, and at its peak, it reached roughly 800,000 users. The age targeting was restrictive for a reason, but it also prevented the site from being widely popularized. Additionally, in 2006, social media was just coming onto the horizon and wasn’t adopted widely enough to get a successful network out of such a small user group. Orkut was launched by Google in 2004 and shut down in 2014. After Google tried and failed to purchase Friendster, it launched Orkut as a place for people to add friends and share content. Orkut allowed users to check out profiles, rate friends and add them to lists, and “like” other friends’ posts. At its peak, Orkut had 300 million users around the world. Orkut primarily took hold in a few countries, such as India and Brazil, but never achieved widespread international popularity. Additionally, the Orkut team cited the growth of Google’s other social media assets as a reason to shutter the site. At the time, YouTube and Google+ were outpacing Orkut’s growth, so Google refocused on these platforms in an attempt to compete against Facebook on social media. Ping was launched as an iTunes feature in 2010 and was closed in 2012. When he launched Ping in 2010, Apple chief executive Steve Jobs referred to it as “Facebook and Twitter meets iTunes.” Ping was a social networking feature within iTunes where users could add friends, follow artists, and look up local concerts. Friends could also preview songs their friends were downloading and listening to. Ping was originally planned to feature an integration with Facebook that would allow Ping users to easily connect with friends and artists they already followed on Facebook, but the partnership fell through, leaving Ping users with a blank slate on which to build another social network of people to follow. Additionally, Ping only allowed users to listen to 90-second previews of songs in its network -- any longer, and they had to buy the song. Since Ping was part of iTunes, it became redundant instead of an enhanced experience. 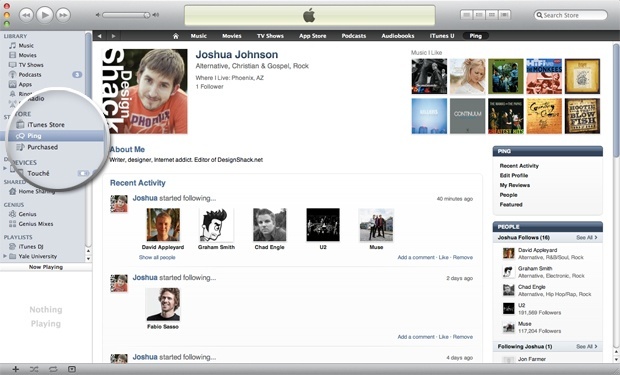 Apple replaced Ping with a better integration with Facebook and Twitter in 2012 that allowed for easy music sharing. Open Diary was founded in 1997 and closed in 2014. Open Diary was an online blogging and journaling website that laid the groundwork for features we see on modern blogs -- such as blog comments. Writers could add friends and change privacy settings so specific people would see what they were writing, and Open Diary eventually expanded into different topic areas so users could all write about different themes together. After two major security breaches, falling subscription revenue led the Open Diary team to start offering more expensive paid subscription options to recoup its losses. This move drove more users away toward free alternative blogging sites, such as Xanga and LiveJournal. There are several lessons for modern marketers in the stories of these forgotten social networks. We’re not saying you’re at risk of killing your brand, but keeping these ideas in mind may help you maintain and grow your followers and engage with them authentically and helpfully. 1) Meet your audience where they already are. Social networks have failed because brands tried to reinvent something that was already working, or gave users extra work to do in order to participate. Ping asked users to recreate existing social networks on its platform, and Open Diary writers didn’t invest in expensive memberships because the site only offered them blog networking. There’s value in this lesson for marketers, too. 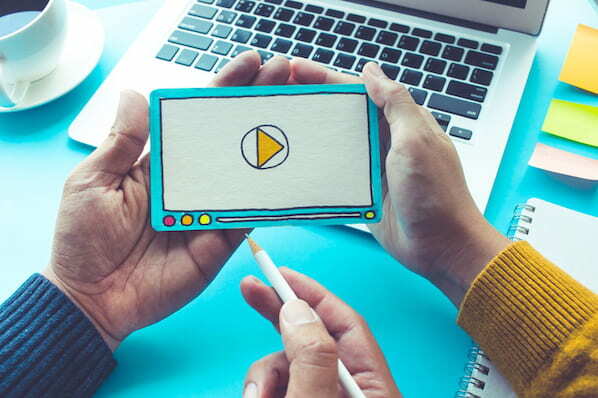 Provide helpful, actionable content that helps your audience learn skills and come back for more information from a trusted source. Optimize your blog content so it can easily be shared and consumed on social media using tools like Click to Tweet, Pinterest “Pin This” buttons, and other embedded social media share widgets. If you have a huge audience on one social media platform but not another, don’t try to force it on the other platform for the sake of engagement. 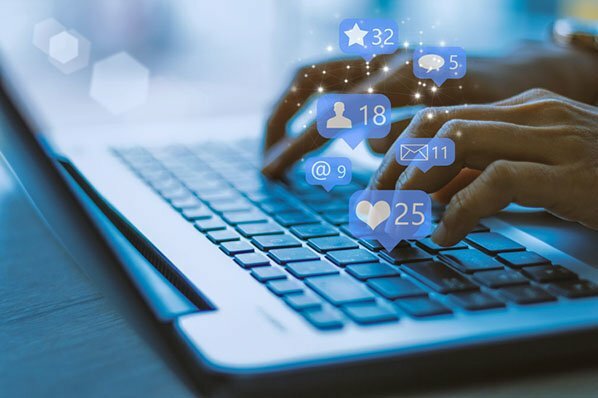 Develop a strategy for sharing platform-specific content that those users enjoy instead of blasting out identical posts across all networks. Part of Facebook’s success and longevity is due to its creation of an infrastructure where users don’t need to leave Facebook in order to get things done. It’s grown beyond just a social network into a destination for news, commerce, and content consumption. 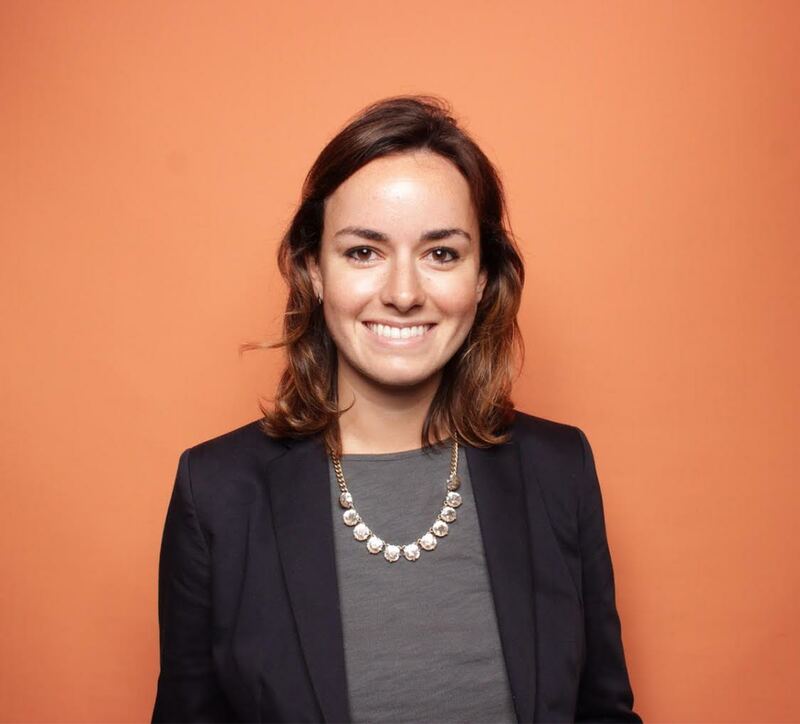 Marketers should experiment with new technologies and offerings to keep followers interacting with their brand more, such as creating helpful chatbots, publishing on new forms of media, and trying new strategies like virtual reality or experiential marketing to keep audiences engaged and on a website or social platform for as long as possible. 2) Borrow from your competitors. Borrow another page from the Facebook playbook and be aware of what your competitors are doing. A few more memorable social media platforms -- such as Meerkat and Vine -- were recently shuttered because another network took what the brands were doing and did it bigger and better. A recent example of this was Instagram’s rollout of disappearing messages, which was launched by Snapchat. Take a peek at the content competitors in your space are pursuing. Are these brands getting lots of engagement with Twitter polls, Instagram user-generated content contests, or Facebook Live videos? Which blog posts get shared the most on social media? Use tools like BuzzSumo to determine how your competitors are achieving success, and try to replicate it in your own content and social media marketing efforts. 3) Be authentic and not overly self-promotional. There are different reasons why Ping and Open Diary didn’t succeed, but a common thread between the stories is the brands' attempts to monetize. Users didn’t respond well to Ping advertising iTunes music without letting them listen to full songs, and Open Diary users didn’t want to pay for a service that was free on other competing sites. Every social media post doesn’t need to advertise something related to your brand. If you’re posting about a blog post or a campaign, share additional data or information that’s useful to your audience. Offer free tools, guides, and strategies for success that help your audience succeed without forcing them to enter credit card information. The next time a new social network comes onto the scene, we’ll be here to tell you the story -- and predict if it will be here to stay. In the meantime, keep yourself informed about the latest techniques for social media marketing and advertising with the help of our comprehensive guides. What was your favorite social media network that’s no longer operational? Share with us in the comments below.